Operators are encouraged to adjust airblast sprayer settings to conform to the variability in canopy size, density, spacing, and weather conditions. The efficiency and accuracy of the application is improved through the regular and independent adjustment of travel speed, nozzle output, and air settings. Airblast design is highly variable. Inflexible sprayer design results in a suboptimal match between equipment and crop. 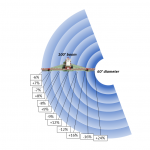 For example, sprayers intended to blow across multiple rows in a single pass are promoted for their high productivity, but compromise either coverage uniformity or drift control. In another example, mist blowers utilize high speed air to atomize spray and are promoted as a means for saving water and/or pesticide. 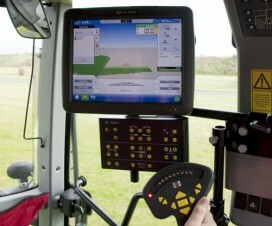 But, for many such sprayers, moderating air speed to reduce drift potential causes undesired changes to spray quality. 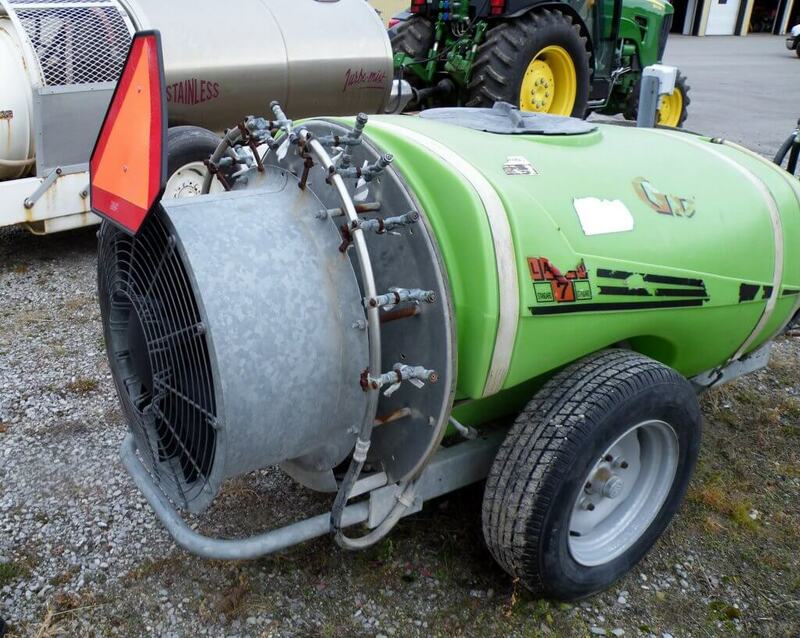 Even with geared fans, most of Ontario’s airblast sprayers are overpowered for vines, canes, bushberries and early-season orchards. I am uncomfortable with obstructing the air intake or adjusting fan blade pitch for safety reasons. My preferred method of adjustment is to reduce air volume and speed by gearing the tractor up and throttling down (GUTD). Travel speed stays constant while the power take-off (PTO) RPMs drop, slowing the fan. Nozzle pressure remains unaffected, freeing the operator to make independent adjustments to output via the pressure regulator. This has proven simple and popular with operators whose willingness to make changes depend on time, effort and cost. It has been my experience that centrifugal pumps on axial airblast sprayers undermine adjustment efforts. In the case of GUTD, slowing the fan reduces pressure at the nozzle. Modest pressure regulation may be possible, but typically the operator must swap to larger nozzles to maintain flow. 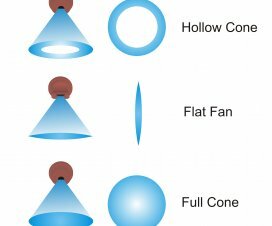 Hollow cone nozzles are only available in large flow increments (average 0.5 gpm), and stepping-up often results in excessive flow. The operator may be able to increase travel speed to compensate, but this frustrates the original intention: air settings must now be reconsidered. Within this context, why do some Ontario airblast operators still choose airblast sprayers with centrifugal pumps? 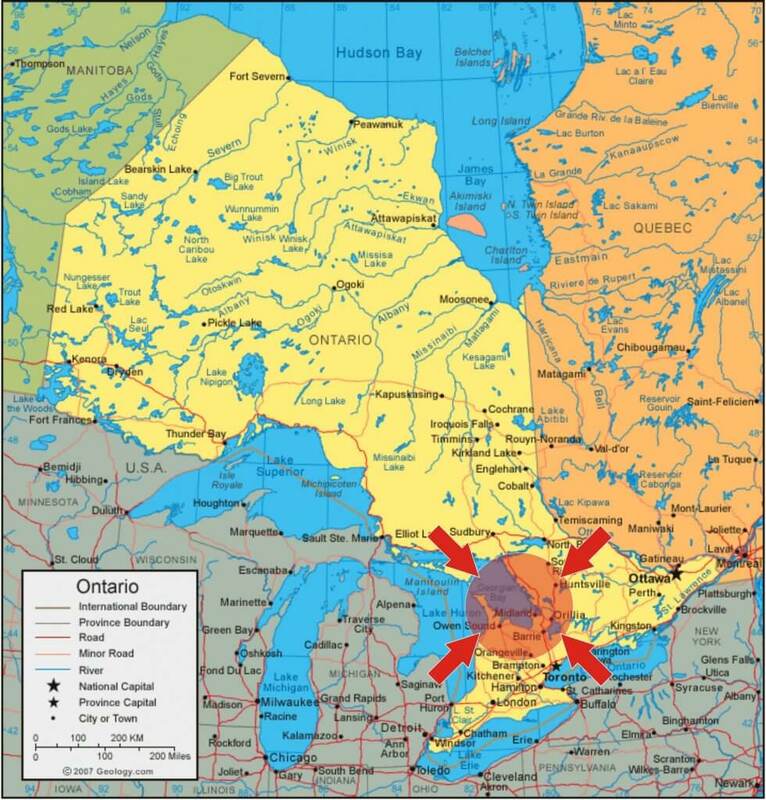 Let’s consider Ontario’s Georgian Bay area, which many manufacturers, distributors and mechanics refer to as “the last bastion of the centrifugal pump in Canada”. The Georgian Bay region of Ontario. 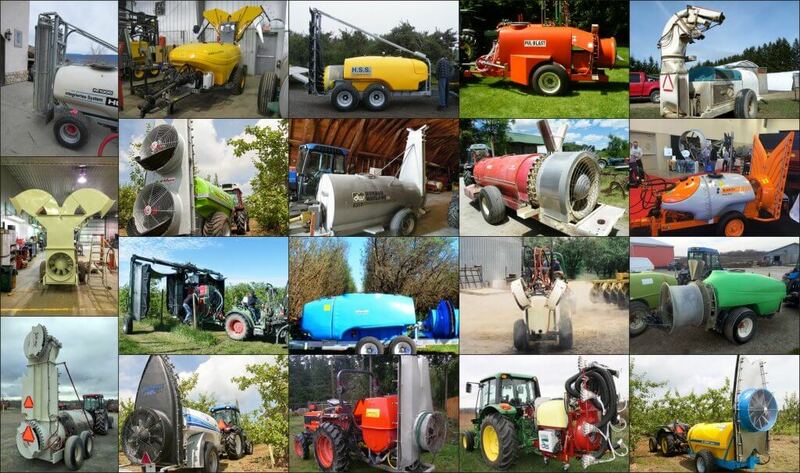 Airblast sprayer design is highly variable, featuring a diversity of pump styles. Piston (or plunger), peristaltic, tractor-hydraulic driven centrifugal pumps are but a few. Historically, piston pumps and centrifugal pumps on John Bean and FMC sprayers were the airblast norm in Canada. In the 1950s, Georgian Bay was home to Swanson Sprayers, who manufactured airblast sprayers featuring the Myers centrifugal pump. The sprayer was a good fit for the standard apple orchards found in the region. Huge canopies required high volume applications, and the rough and craggy bark harboured mites that drove the need for drenching sprays. 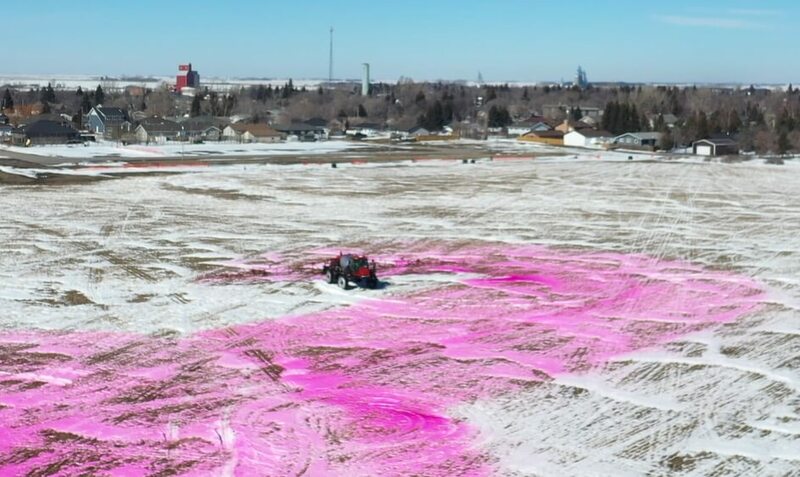 To achieve this, sprayers traveled at 5 km/h (3.1 mph) on 7 m (24 foot) spacing, operating at 10 bar (150 psi) to emit as much as 3,750 L/ha (400 US gal./ac). At the time, a diaphragm pump could not manage this, even traveling at 0.8 km/h (0.5 mph). 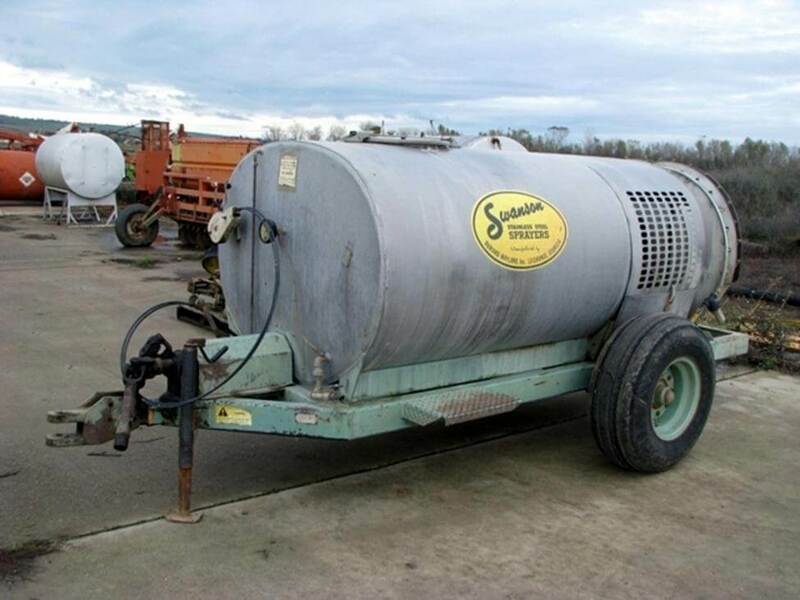 A Swanson Sprayer (This one likely from Georgia, USA). By the 1970s Holland’s Kinkelder air-shear sprayer (centrifugal pump) was introduced to Ontario and promoted as a way to use less pesticide. Perhaps ahead of their time, they never really took off because orchards were still too large for their concentrated (i.e. low-volume) applications. By the 1980s a wave of Italian-made sprayers (e.g. the Good-Boy or GB) featuring diaphragm pumps were imported into the Niagara region by distributors such as Rittenhouse. One of Ontario’s last original Kinkelders. RIP 2018. The Italian-made Good-Boy (or GB). There were many cases of misuse as unfamiliar operators failed to grease direct-drive diaphragm shafts, ran the throttle beyond 540 rpm or diverted flow intended for agitation to increase flow to the booms. Decreased agitation in relatively large tanks left concentrated spray mix to clog suction filters and destroy the diaphragm pumps. It was an inauspicious start, but the diaphragm pump rallied and today we estimate that 90% of Ontario’s airblast sprayers have diaphragm pumps, while the rest are mostly centrifugal. One Ontario airblast dealer claims to sell 50 diaphragms for every centrifugal, but not in Georgian Bay. Is it regional history or a long memory of diaphragm “growing pains” that propagate the demand for centrifugal pumps? Perhaps considerations of maintenance, expense or ease of use play a role. Dealers claim that the centrifugal pump is cheaper, but these savings are offset by custom installation costs. 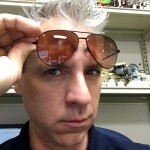 Perhaps weather conditions or the crop morphology make centrifugal a better fit? 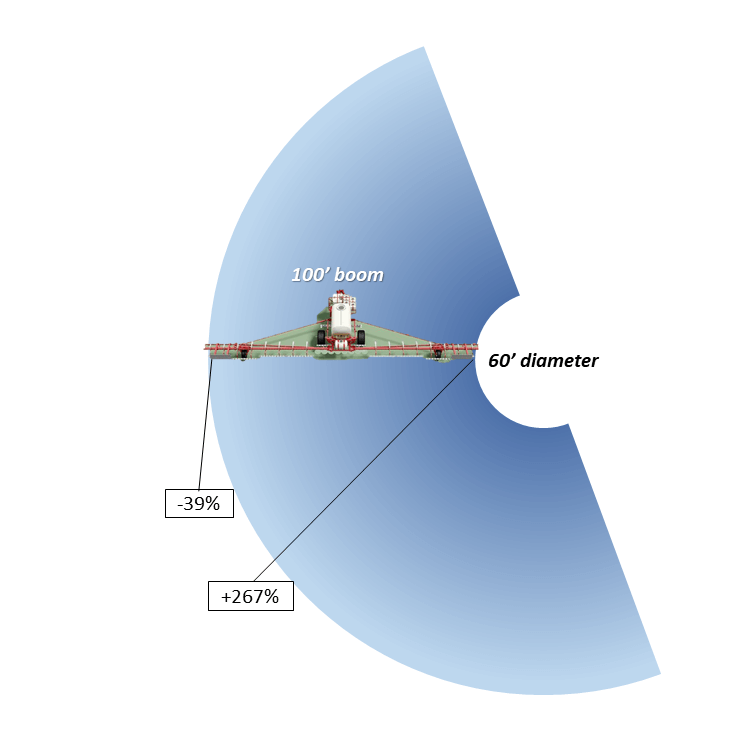 Let’s consider the relative benefits and limitations of diaphragm and centrifugal pumps. 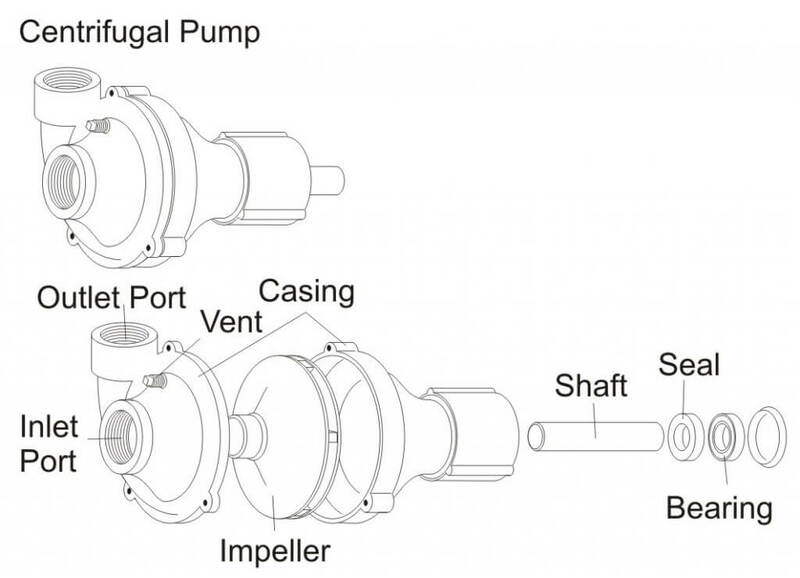 Centrifugal Pump – Exploded View. Most centrifugal pumps prime by gravity feed which is why they are located at the bottom of the sprayer. 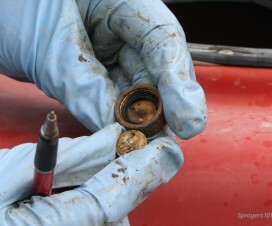 While less common in Ontario, there are self-priming versions that reserve fluid in the case, or employ clever plumbing, permitting a more accessible location on the sprayer. 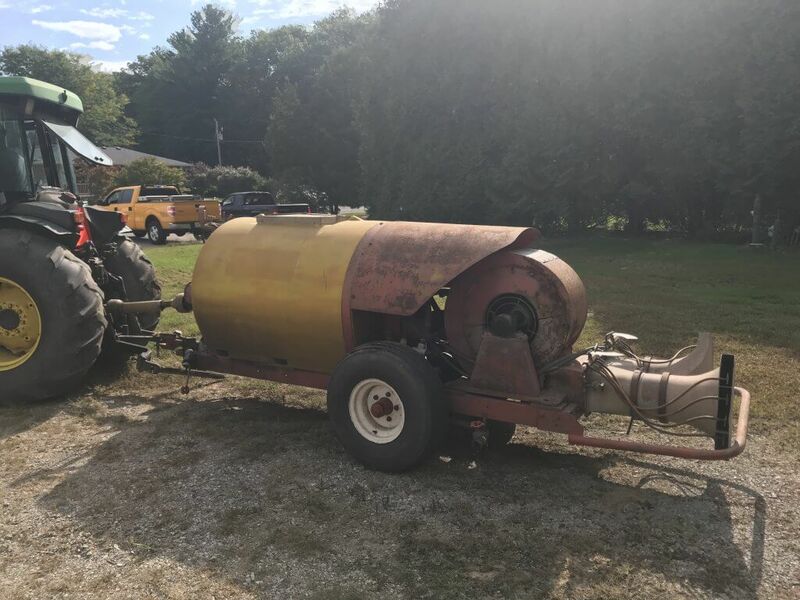 Engine-driven centrifugal sprayers are artefacts in Ontario. The more common PTO-driven impeller operates at high speeds, requiring a >1:4 speed step-up mechanism (e.g. gearbox, pulley or hydraulic motor), and unlike diaphragms, they create smooth flow that does not require pulse suppression. While not technically required, most have a relief valve between the pump outlet and nozzle shut off valve to handle changes in pressure. 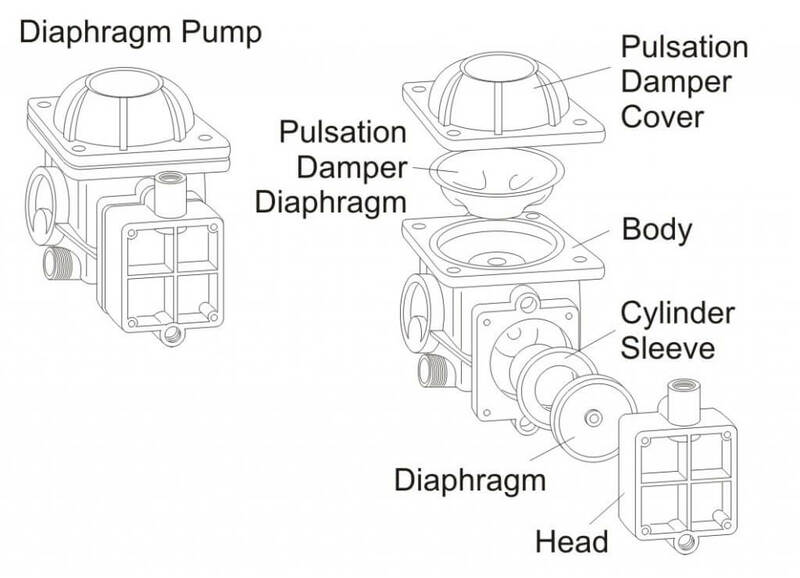 Diaphragm Pump – Exploded View. Diaphragm pumps are self-priming and readily accessible because the shaft runs through the pump to power the fan at 540 RPM, with no need to step-up. Flow is directly proportional to pump speed which in turn depends on the tractor PTO speed. A pressure regulator is used to control bypass flow, which is convenient for making adjustments in nozzle output. Centrifugal pumps are capable of higher flow at lower nozzle pressure and require more horsepower than diaphragm pumps. Note the large relative difference in flow for a centrifugal pump between the operating pressures of 90 and 100 psi (red curve shaded red) versus that of a diaphragm pump (blue curve shaded blue). 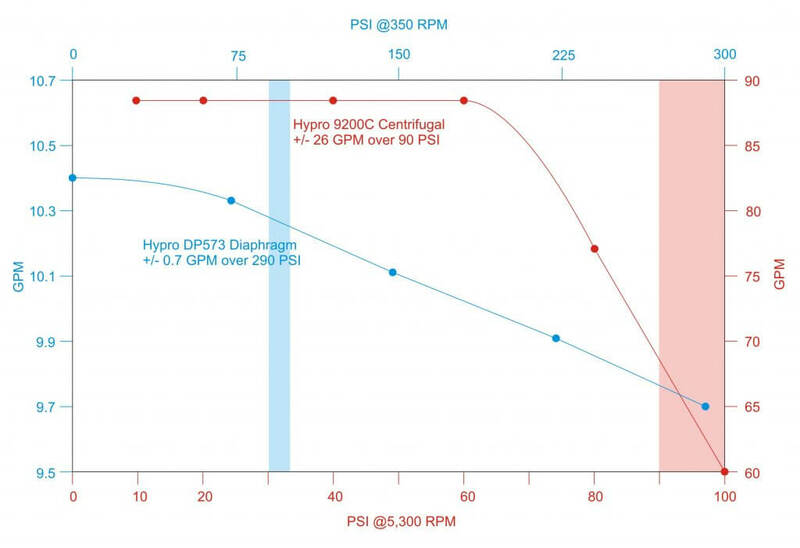 Relative difference in flow versus PSI at constant RPM for a common Centrifugal (red) and Diaphragm (blue) pump. Shaded pressure represents 90 to 100 psi. 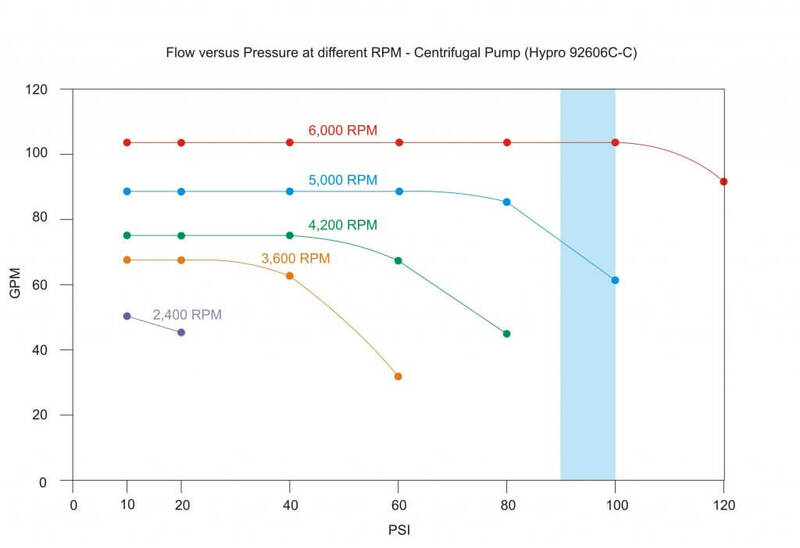 The flow curve of a centrifugal pump drops off dramatically; pressure (not RPM) dictates flow. If you were to throttle back on a PTO-driven centrifugal pump, reduced flow would reduce the ability to build nozzle pressure. This means fan speed cannot be separated from nozzle pressure, and reducing air speed means re-nozzling. Centrifugal flow at different RPM. Shaded pressure represents 90-100 psi. 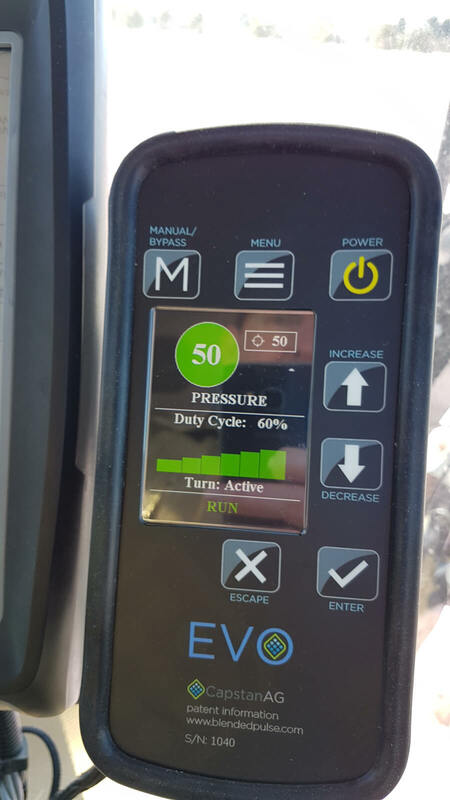 While still rare in Ontario, rate control monitors can be used (regardless of pump type) to calibrate output based on a target rate, speed and material flow using travel speed and flow sensors. Nevertheless, they cannot compensate for the aforementioned pressure loss at the nozzle if a centrifugal pump is throttled down to reduce air speed. In any case, throttling back on a centrifugal pump can cause a condition called suction or recirculation cavitation (aka pinging). Tiny high-pressure air bubbles form on the suction side of the impellor, explosively pitting the impellor. The damage is similar to corrosion and it causes vibration that will wear the pump prematurely. Any restriction on the inlet side (e.g. clogged suction strainer, collapsed/undersized line) can cause a loss of volume that can damage a centrifugal pump. “Dead-heading” (i.e. closing the outlet) is possible for a short period of time, but it quickly results in heat build-up which can cause damage. 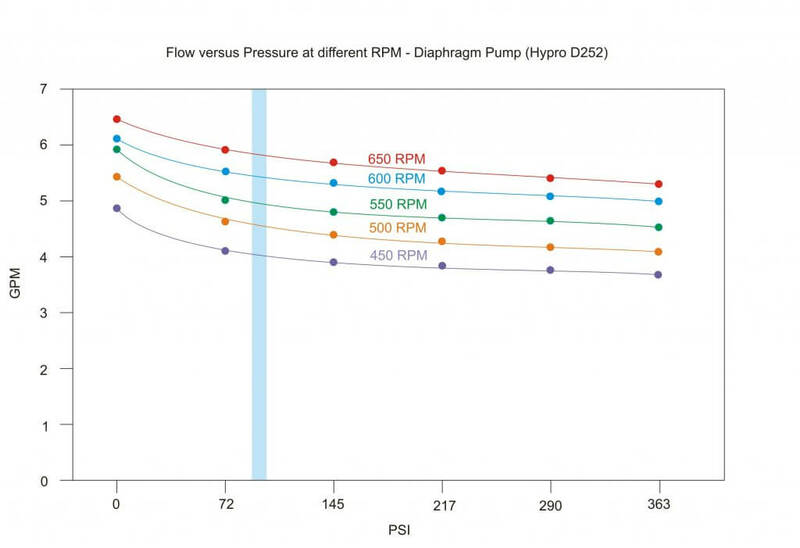 The flow curve of a diaphragm pump is flatter and more efficient; RPM (not pressure) dictates flow. If you slow the airblast fan by throttling the PTO below 540 rpm, flow decreases moderately, but surplus capacity allows sufficient flow to the nozzles without pressure drop. As long as the tractor does not lug, there is less noise, lower fuel consumption and the operator has adjusted the air without having to change nozzles. If a change in nozzle flow is required, the pressure regulator on the diaphragm pump can be used to adjust nozzle operating pressure. Diaphragm flow at different RPM. Shaded pressure represents 90-100 psi. Diaphragm pumps are capable of high pressure, but are rarely operated above 150 psi in Ontario. Moulded hollow cones operate well in the lower 20-120 psi range compared to pressure-loving disc-cores. Therefore, while regulators and springs are sized according to the pump’s maximum settings, they do not reflect the usage pattern. The relatively heavy spring is too stiff to compensate for changes in pressure (e.g. driving on hills or closing one boom) behaving more like a fixed bypass and undermining a calibration. The phenomenon is discussed more detail in this article. A centrifugal pump with self-lubricating bearings and quality seals (e.g. carbide) that is maintained seasonally and operated in the best efficiency point of the curve will run reliably for many years. Proponents of the centrifugal pump claim they are low maintenance (compared to the diaphragm pump). This may be anecdotal, because of the pump’s out-of-site position on the sprayer and their tolerance for neglect. A mistreated centrifugal pump fails by degrees, often forgotten until a seal leaks or a pressure drop is noticed. In the later situation, increased flow from nozzle wear can mask the problem as the sprayer continues to cover the same number of hectares. Often overlooked, worn or misaligned sheaves/belts on a centrifugal sprayer can also cause a loss of flow. Operators might notice a tail breeze that blows spray onto the belts can cause slippage and lower the nozzle pressure. Much depends on the diaphragm material and the products being sprayed. For example, corrosive materials (e.g. 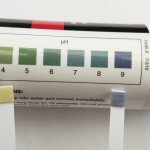 copper sulfate, urea, etc.) require polymer manifolds to minimize contact with metal. Metal manifolds do not weather well. The diaphragm pump can run dry for extended periods. This creates heat but does not often lead to failure. Failures occur from exposure to vacuum, which can happen with dirty suction filters or long and/or improperly sized suction lines, or even lack of oil support on the compression stroke (caused by over-revving). 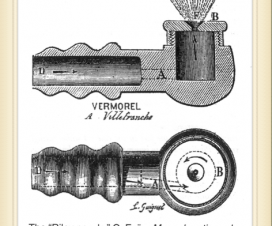 While three-cylinder designs may not require pulsation dampening, most require an accumulator to suppress the pulsing created by each stroke. Improper adjustment can lead to hammering that cracks mounts and valves, and can exacerbate rub-points on hoses. Diaphragm pumps that use direct drive shafts (i.e. carry the PTO to the fan) are subjected to the thrusting of the drive shaft during turns. It is important to keep them greased. Summarily, the longevity and maintenance requirements for either pump design seem about equal. 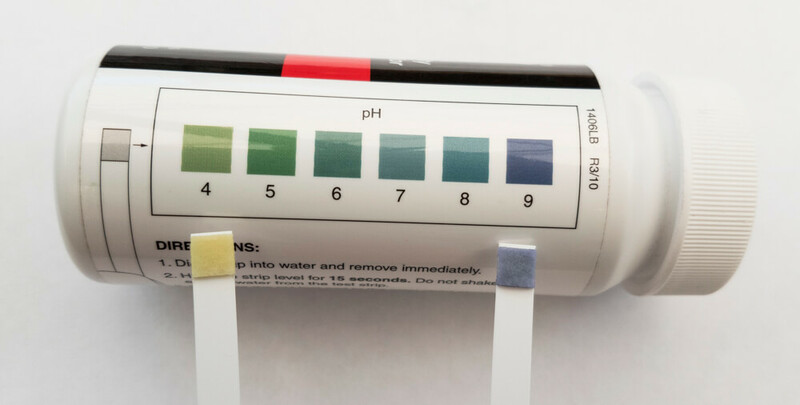 They depend on the products being sprayed, the quality of pump materials, and adherence to the manufacturer’s instructions on correct usage and preventative maintenance. Ontario’s airblast-specific crops have become smaller, closer and denser. High liquid volumes and air speeds are typically not required. Operators are encouraged to use Crop-Adapted Spraying to adjust fan speed and nozzle output to the crop and the weather. In my opinion, the diaphragm pump facilitates this, resulting in lowered input costs, reduced drift and improved coverage uniformity. 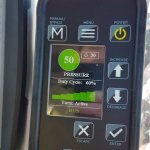 I recognize that this requires skill and effort on the part of the operator, and setting-and-forgetting a centrifugal pump can be attractive, but it’s unacceptable if it leads to unnecessary environmental impact. In the end, the sprayer manufacturer chooses the pump, atomization and air-handling system while considering safety, effectiveness, reliability and price point. The operator must acknowledge the capabilities and limitations of the sprayer design when choosing the best fit for their operation. I still don’t know why regions like Georgian Bay seem to prefer one pump over another. Perhaps it’s simply herd mentality. Perhaps they know something I don’t. But consider: an airblast sprayer’s average lifespan is 30 years. That’s a long time to live with a decision. Special thanks to the many dealers, manufacturers, engineers, mechanics and end-users that helped to inform this article.